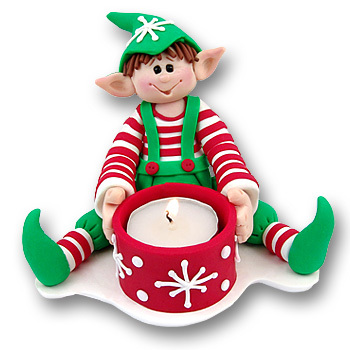 This adorable elf was inspired by the "Shelf Elf" from the 1950's. He is very retro and amazingly detailed. Sure to "light up" your life! This Tea Light /Candle is hand made from polymer clay and includes one candle.